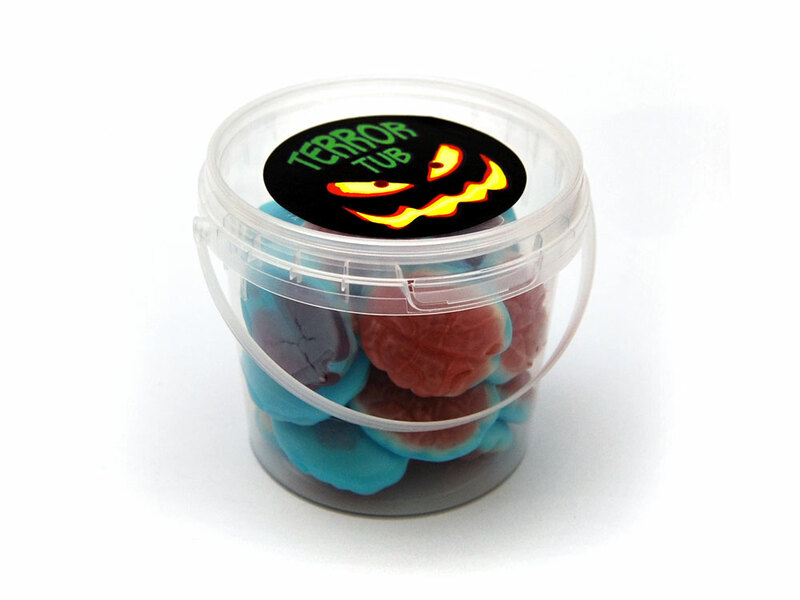 190ml bucket filled with 104g of Jelly Brains. 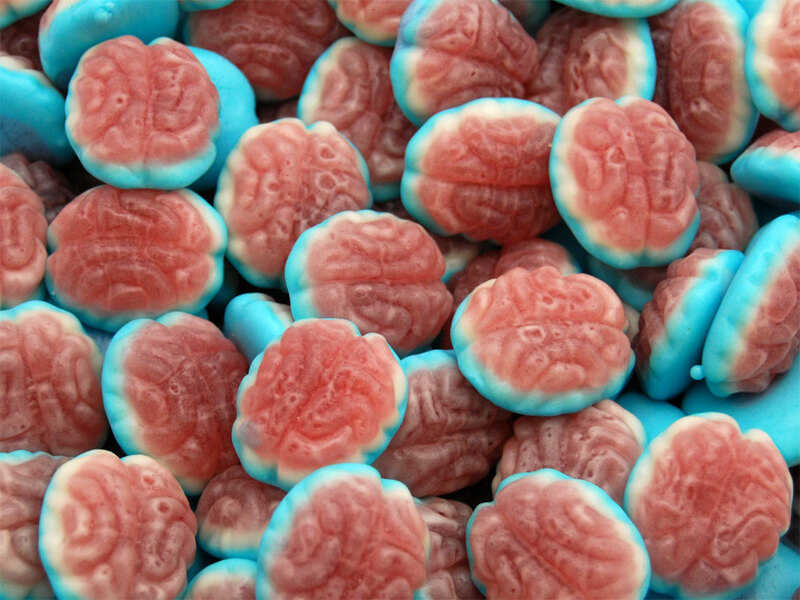 Perfect to share as it contains 17 brains or to just scoff the lot yourself. Bucket measures 65mm high by 75mm wide at top. 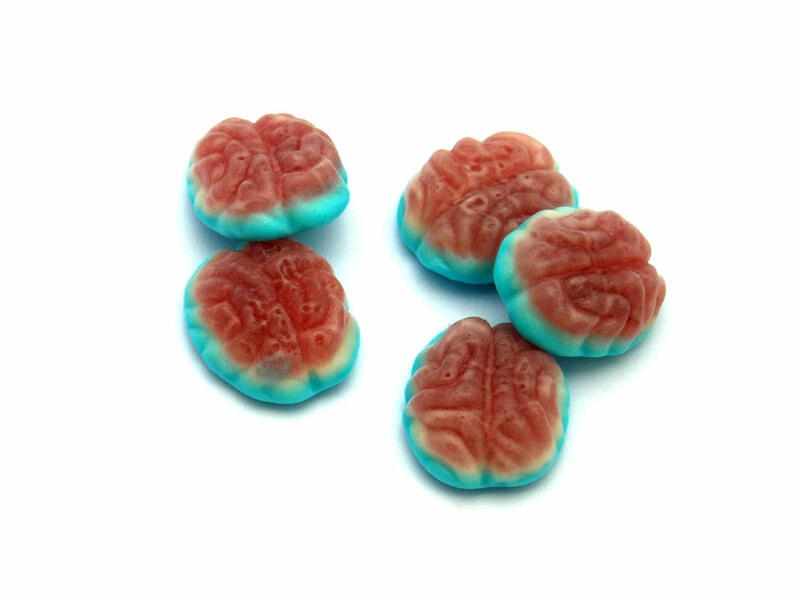 Jelly Brains: Glucose Syrup, Sugar, Gelatine, Pectin, Humectant (Sorbitols), Modified Potato Starch, Citric Acid, Invert Sugar Syrup, Vegetable Oils (Coconut and Palm Kernal), Glazing Agents (Carnauba Wax, Beeswax), Acidity Regulator (Sodium Citrate), Colours: E120, E133, Fruit and Vegetable Concentrate (Carrot, Blackcurrant, Radish).